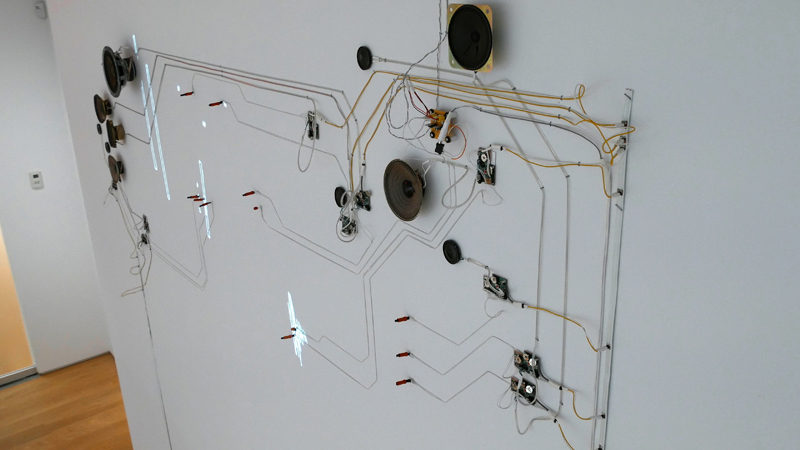 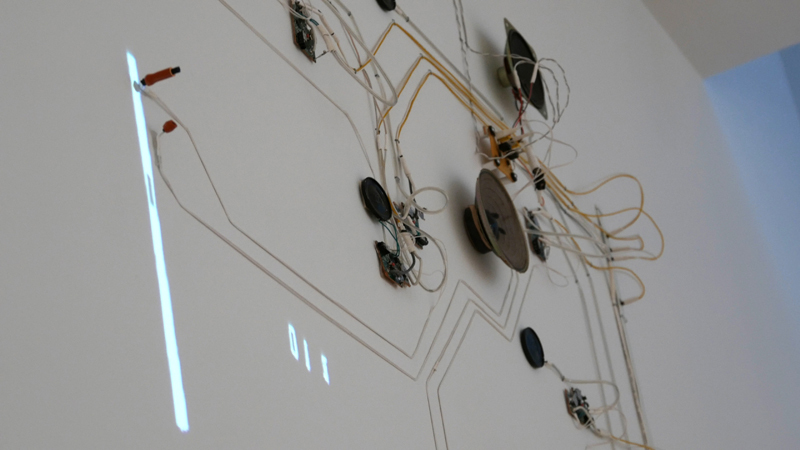 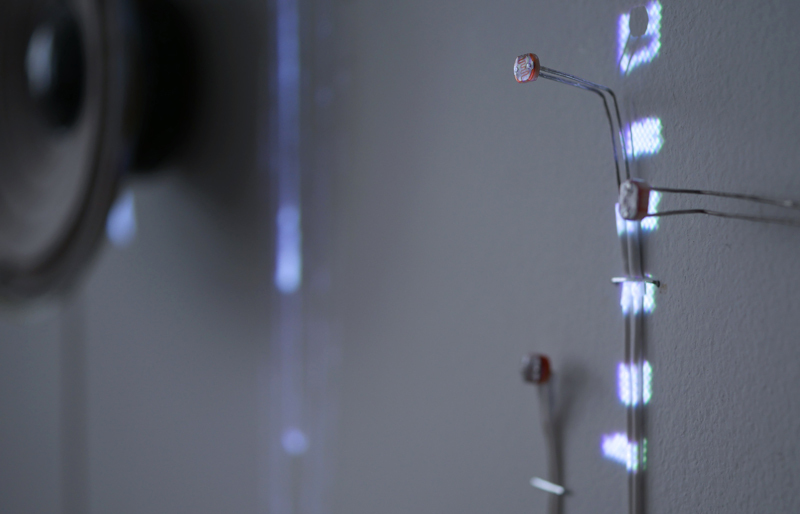 On a fertile wall a field of light-sensitive, sound-making circuits colonizes a surface. 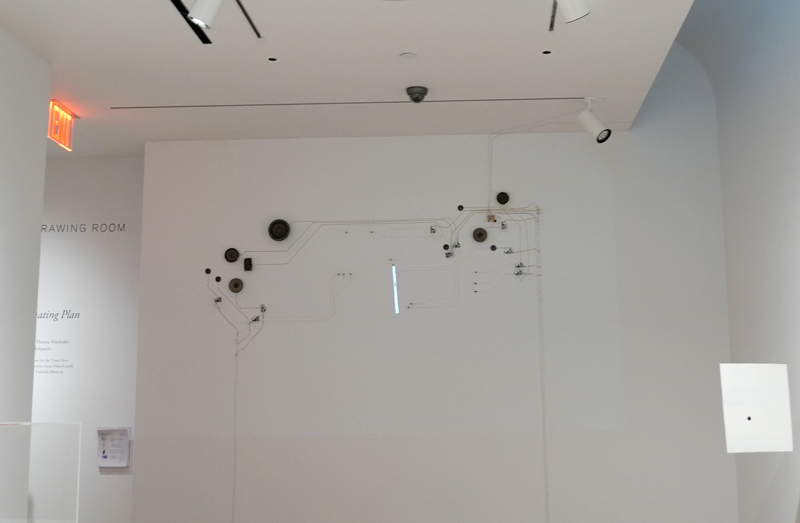 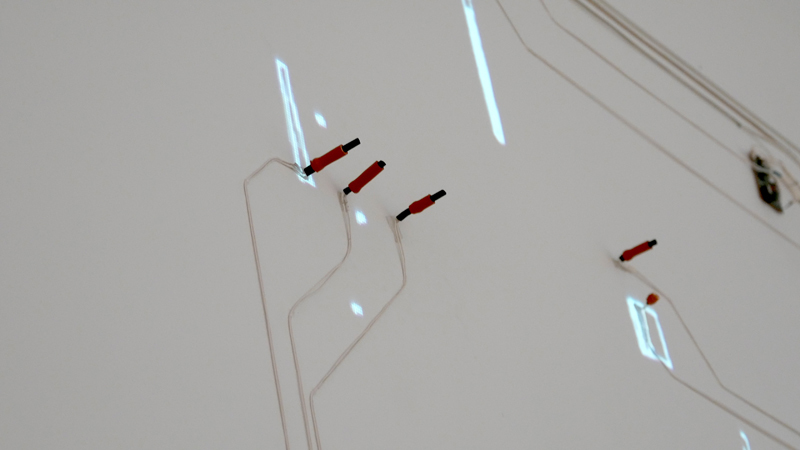 Each circuit hub extending its tendrils to collect light from projected drawings. 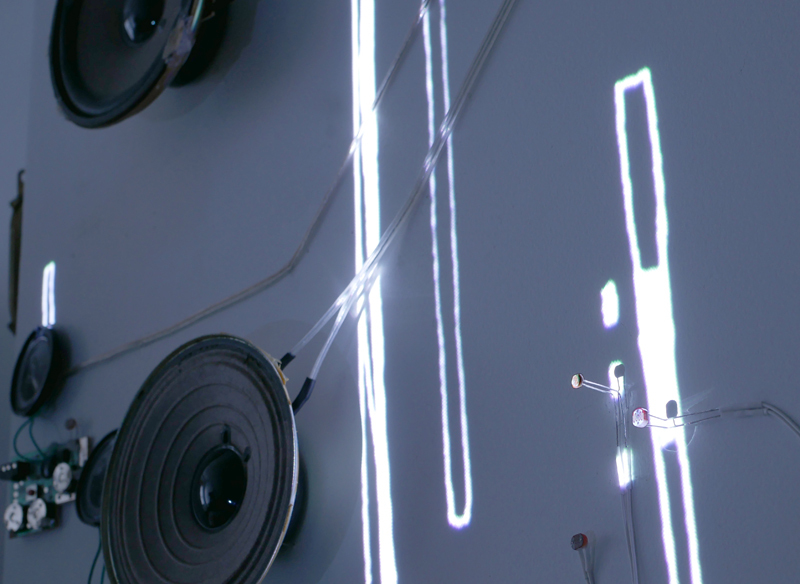 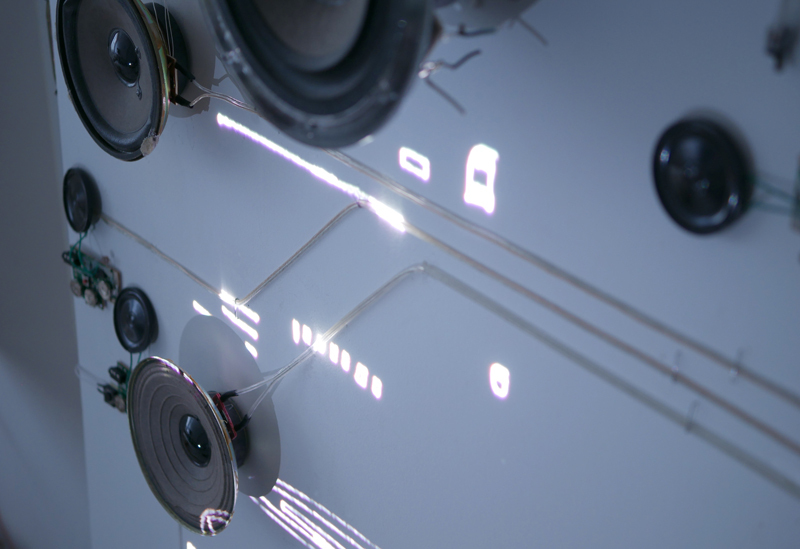 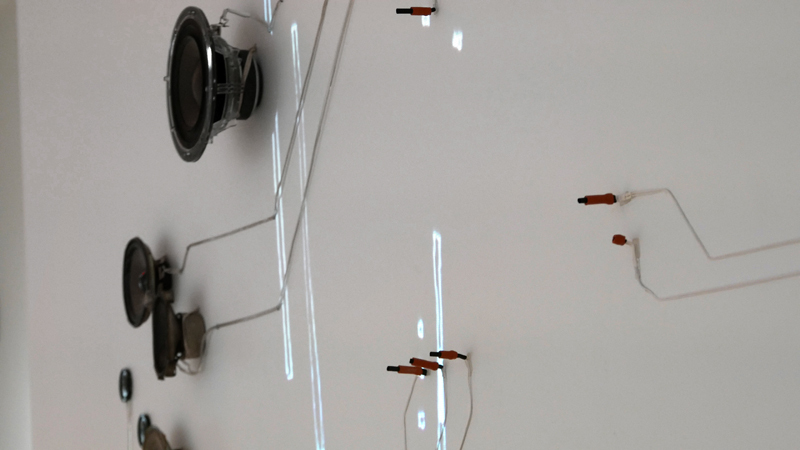 Triggered by the light of animated lines – a moving graphical score, the autonomous modules emit snippets of sounds and mechanical stirrings through clusters of speakers. 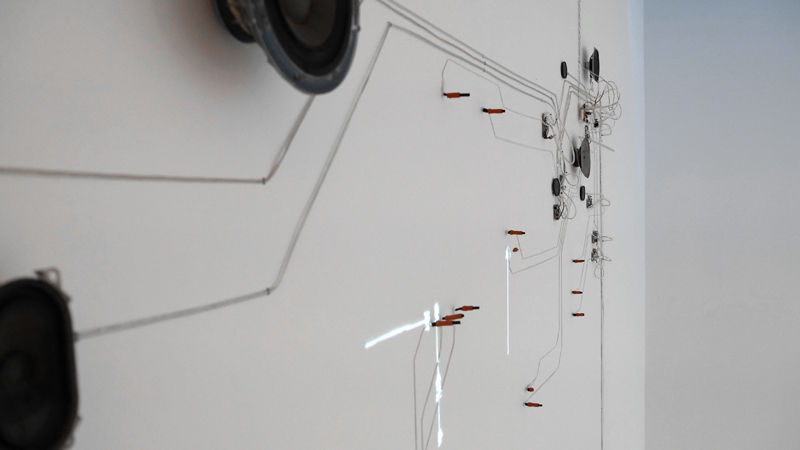 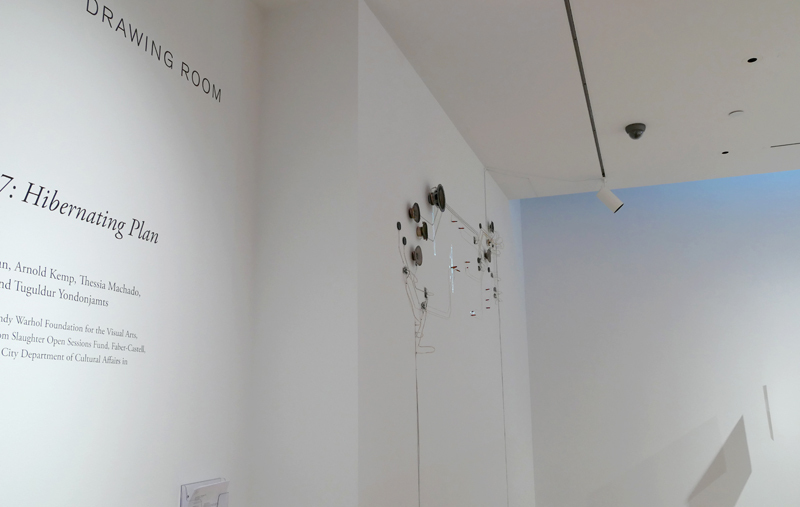 The sounds contain processed sine waves generated by transpositions of spatial information from the gallery. 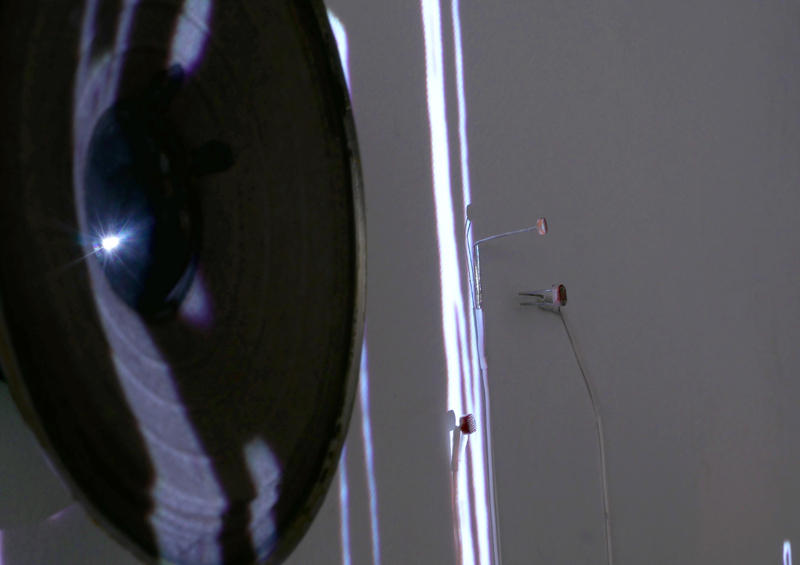 and below are some images while testing the piece in my studio. 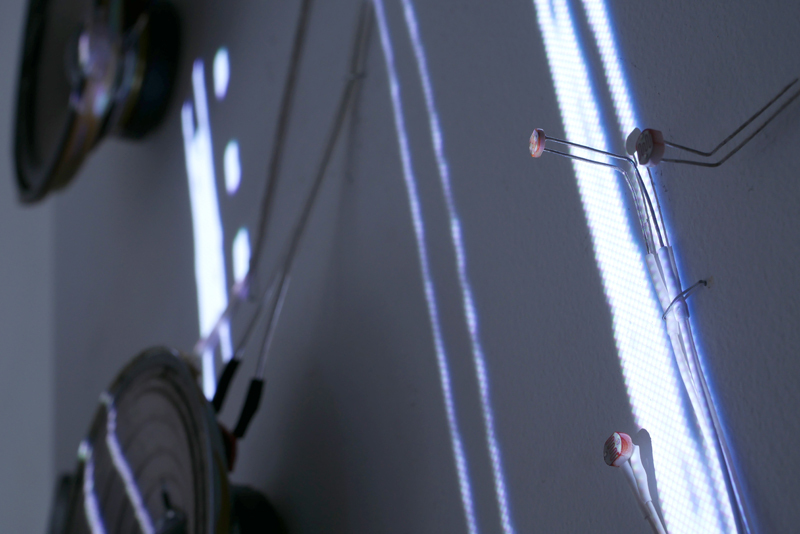 Lower ambient light meant that I could leave the photocells exposed.